Do you ever dream of escaping the hustle and bustle of everyday life, even if just for a little while? 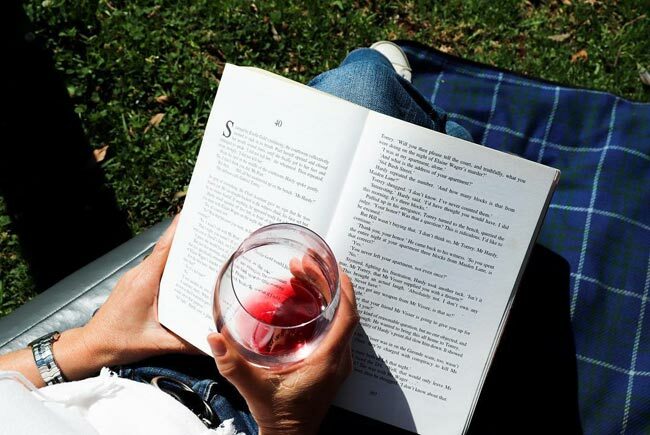 Long to lose yourself in the story of a good book, forget about time and enjoy a nice drop of wine with your selected book in perfect surroundings? Have we got an idea for ﻿﻿﻿you﻿﻿! The ultimate digital detox getaway! We are giving away a two-night stay at Witches Falls Cottages including this new package to a lucky winner just in time for Christmas! Please check out our Facebook page for the details on how to enter (T&C's apply). a period of time during which a person refrains from using electronic devices such as smartphones or computers, regarded as an opportunity to reduce stress or focus on social interaction in the physical world. "break free of your devices and go on a digital detox"
Your package includes a cozy cottage set in lush rainforest gardens which offers the perfect environment to switch off, reduce your stress levels amid the green lush environment and escape the real world for a couple of days. With the help of the questionnaire we have prepared for you, Janene at Under the Greenwood Tree will expertly select a couple of books for you. These may be a surprise for you (just like blind dates can be sometimes!) and will be waiting for you when you arrive at your Cottage. All you have to do is make yourself comfortable on the sofa, or in front of the wood fire (seasonal), or outdoors in your private courtyard garden or even in the big double spa and start turning the pages! 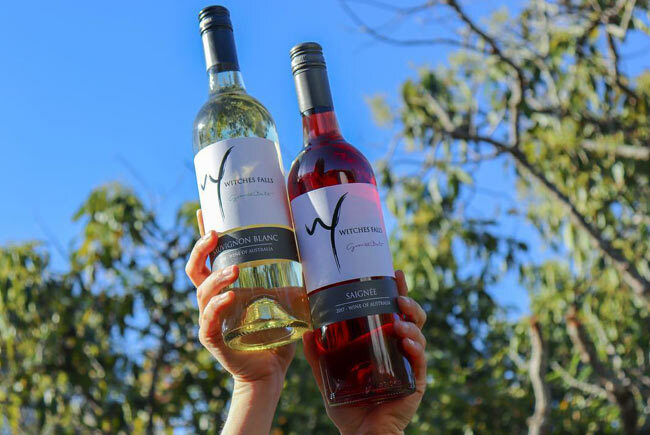 Not only will we match an excellent bottle of local wine from the award winning Witches Falls Winery to help with your reading, you will also receive a voucher for a wine tasting experience at the Winery. Conveniently located only 5 minutes walk from your cottage, we love exploring Janene's book display and admiring the ever changing arts display. Under the Greenwood Tree is a real gem to have on the Mountain, a secret the locals have long discovered and which we are happy to share with you in this package. Under the Greenwood Tree is a small independent Bookshop and Contempory Art Gallery. The Bookshop carries a wide range of fiction from the Classic to the latest releases. The variety of non-fiction writing is also extensive, while the biography and memoir section provides insights into many interesting lives and epochs. New art exhibitions and book readings happen regularly at the venue, providing an opportunity for local and Australian artists and writers to share their work. 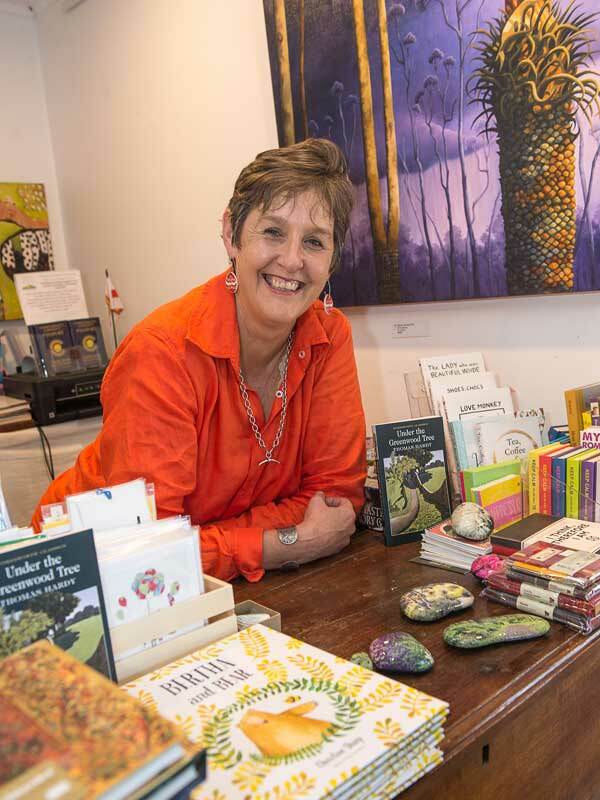 Janene's experience in contemporary art and business spheres, coupled with her unremitting passion for books and art is evident in the carefully curated selection of the shop. 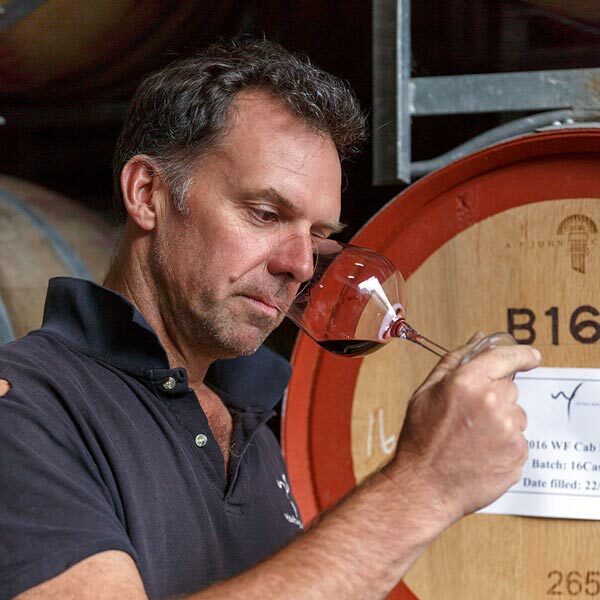 Jon Heslop, Chief Winemaker, quotes: "At Witches Falls we love wine. To us it is not just a drink. We love growing it, making it, drinking it, matching it with all kinds of foods and sharing it with friends and we would love to share our wines with you"
For this package Witches Falls Winery is matching one of their bottles of wine to the book genre you select via your questionnaire to add to the pleasure of your read. Enjoy! We also include for you a complimentary voucher for a Wine tasting session at the award winning winery. Two nights accommodation in a Private Cottage with your choice of BBQ Breakfast or Gourmet Breakfast Hamper with our fresh homemade bread delivered to your cottage each morning. Check Availability... and book directly for best rates! To book our exclusive A Blind Date with a Book Package please use our Secure Online Booking System or Contact Daniela and David should you need any assistance. We are always happy to help and offer any advice. The package rates displayed above include your stay in a Private Cottage. You can certainly add the package as an extra if you prefer to stay in a Premium Cottage or in our Rainforest Suite. Please note that we do require a minimum booking of two nights over the weekend if your booking includes a Saturday night. Single nights are subject to availability. As most of our guests book a Friday/ Saturday night we often have a single night available on a Sunday, sometimes on a Friday, only very rarely on a Saturday. This package is a popular Birthday and Anniversary present for yourself, your partner, family and friends. 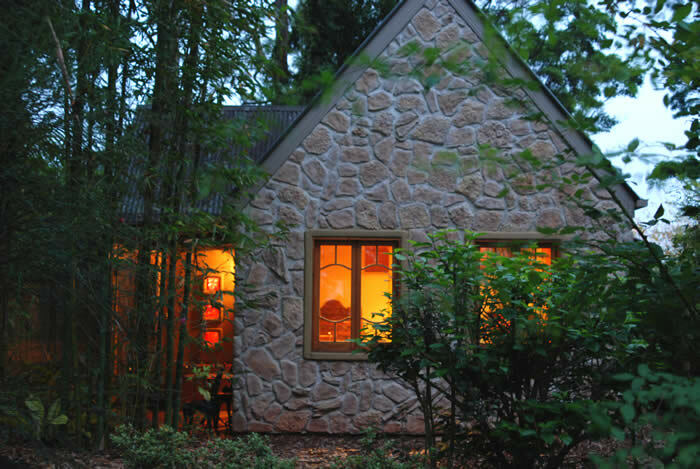 Why not spoil that special someone in your life and purchase a Witches Falls Cottages Gift Certificate online now? When booking over the phone a deposit of 50% of the total cost is required (full amount for 1 night stays). When booking online the full amount of your booking is charged at the time of booking (unless otherwise agreed). We do not take tentative bookings and your reservation is only secured once payment is made.